Application invited for SAGE Fellowship by Leo&Mike for the year 2019. Anyone interested in opening their minds to a world class learning & teaching experience can apply! Just follow the below steps to apply for the SAGE Fellowship 2019. Step 1 : Go to the official website of Leo & Mike through provided above. Step 2 : Next read the instructions carefully and click on “Apply for the Job” button. 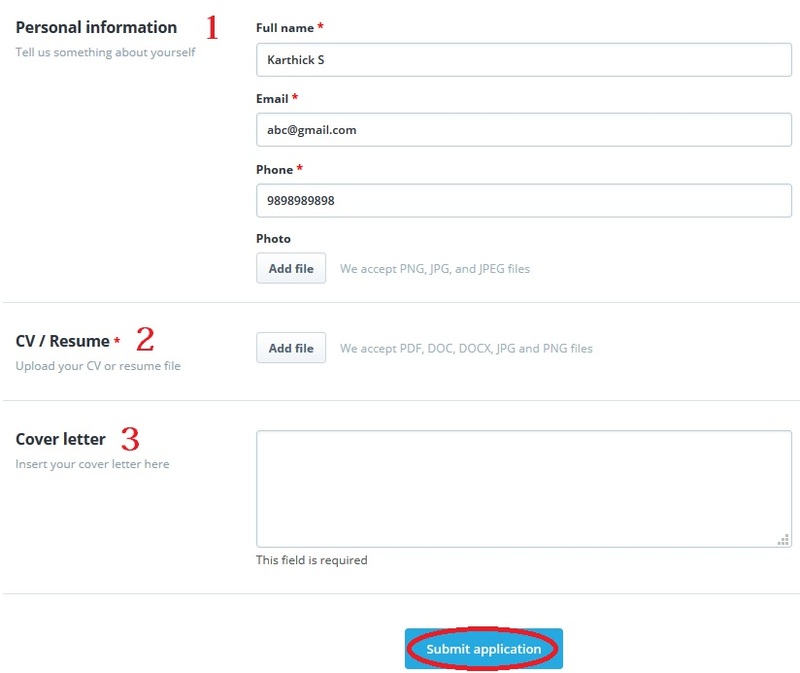 Step 4 : Insert your cover letter and finally click on “Submit Application” button to complete the registration. ** The top 10% of fellows will be absorbed into roles at Leo&Mike, the rest will be part of a growing network of Leo&Mike Fellows. 1. Can this be considered social work? No. Leo & Mike is a for-profit organization, and our summer camps are currently for city children who will pay for their experience. 2. What is the duration of the fellowship? The fellowship will take a minimum 10 weeks. These 10 weeks will be broken into 4 weeks of training and 6 weeks of delivery. Once can choose to deliver for longer if they wish to. 3. I am not from Hyderabad, what can I do? You have to travel to and stay in Hyderabad for a period of 10 weeks to do the fellowship. 4. Will food be provided during the fellowship? Leo&Mike will provide lunch to all fellows for the 10 weeks of the fellowship, during training and teaching days. 5. Do I have to submit anything at the end of the fellowship? Every fellow has to maintain a Digital Journal of their fellowship experience, and update it at least thrice a week. More details will be given during training. 6. How do I earn the fellowship?